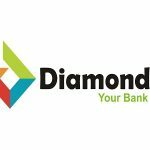 Diamond Bank Past Questions and Answers for Aptitude Test | If you were invited for Aptitude Test in the recently concluded Diamond Bank Job Application, Then this Updated Diamond Bank Past Questions and Answers is for you. 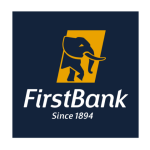 Diamond Bank Job Aptitude Test Past Questions – PDF Download will go a long way in getting you in the mood and calm you down by exposing you to the concept of the Job Aptitude Test. With this, you get to know the structure and how the the job aptitude test will look like, which gives you an upper hand compared to other job seekers. Part of the Diamond Bank E-book Past Questions and Answers are Workforce Quantitative and Verbal Test. After payment, send a text to this number 08060833386 containing your full name, email address and Diamond Bank Past Q & A. Once your payment is confirmed, we will send your E-book to your email immediately. 2. Send a recharge voucher worth N2,500 with your full name, email address and Diamond Bank Past Q & A. We will send your E-book to your email immediately.